For additional help with PITTCat+ advanced features visit our LibGuide on Discovering PITTCat+ , which includes a printable handout "Searching PITTCat+" and a video tutorial. Explores the impact of globalization and economic liberalization on the region's states, societies and political economy and the transformation from communism to adoption of market oriented reform in the early 1990s. Examines civic activism, democratization and the gender dimensions of socio-political participation in contemporary Russian society. Explores the problems and potential these countries bring to the European region, the EU, and to the world stage. Provides up-to-date analysis of the transformations and realities in Central and Eastern Europe, the Baltics, and Ukraine, utilizes comparative country case studies as well as thematic chapters on key issues, including EU and NATO expansion, the economic transition and its social ramifications, the role of women, persistent problems of migration,ethnicity and nationalism, and political reform. Because of Russia's size, the diversity of its peoples and its unique geographical position straddling East and West have created a culture that is both inward and outward looking. 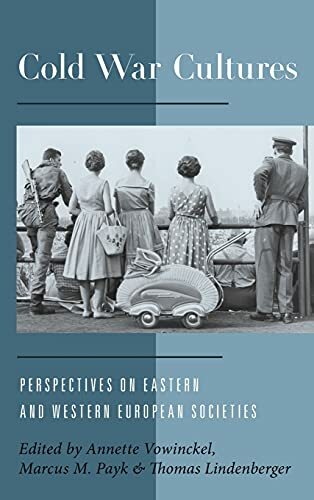 This book examines Russian cultural identity, its Western and Asian connections, popular culture and the unique Russian contributions to the arts. Examines modernity and "What is Europe?" and "What is it to be European?," through the use of nine case studies. Explores patterns of interaction between the mass media and identity formation in the context of Europeanization; examines media impacts on four levels of identity: European, regional, national, and ethnic minority identities; and analyses the structural transformation of European media institutions, and the policies that shape the future of European media. . Examines Cold War conflicting world views and imperial ambitions of the super powers, their military strategies, and antagonistic ideologies - as well as their impact on everyday life. Explores "Cold War Culture” in a broad sense by describing media influences, social practices, and symbolic representations as they shape, and are shaped by, international relations.